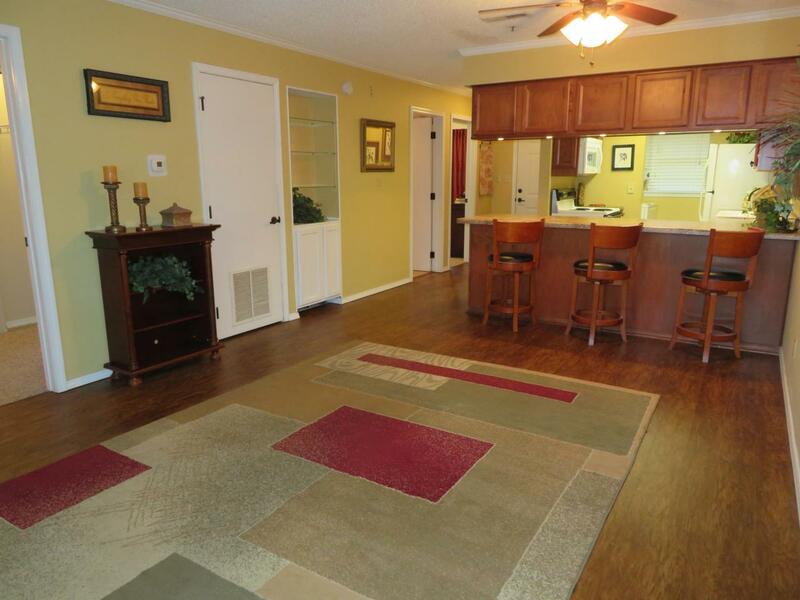 Walk in 2 bedroom, 2 bath Condo in Branson, MO. This well taken care of condo is located in the heart of Branson, close to all Branson has to offer. It would be a great year around or vacation home. This walk in corner unit is in a great location at Suncrest and features an updated kitchen, nice flooring, all appliances including washer and dryer, a covered front porch, covered back patio great for BBQ's. There is also a back patio storage closet for outdoor items. Furniture is negotiable. Schedule your showing today - this won't last long. Amenities include: Clubhouse, Swimming Pool, Exterior and common area maintenance.